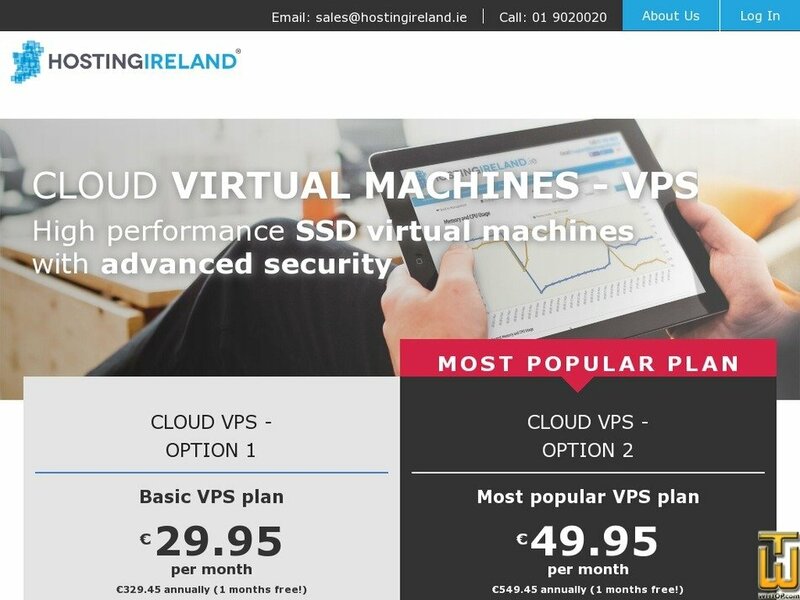 Cloud VPS - Option 1 > hostingireland.ie, #65463, EUR 0.00/mo. See also original Cloud VPS - Option 1 plan location on their website! Root Access: Full Root access to your cloud VPS. This means you can install, compile and run software as you need it. Scalability: Upgrade or Downgrade your cloud VPS as your business demands change. Need more resources, simply upgrade. Support: Technical support is only a phone call 01 902 0020 or email away support@hostingireland.ie. 1 Hour included at setup. IP Address: One Included, add more as you require. Remote Desktop: Full RDP Remote Desktop access to your Windows 2008/2012 cloud VPS. This means you can install, configure and run software as you need it. Domains: No limits on the number of domains you may host. Setup Time: Setup time usually within 24 hours. Price: € 2.99/mo. VAT exc. Price: € 16.25/mo. VAT 23% exc.